BGO Casino first hit our TV Screens in 2012, with the first of a series of TV Adverts starring Verne Troyer – the cheeky little fellow who’s most famous for playing Mini-Me in the Austin Powers Films. However, since 2018, the queen of Vegas, Paris Hilton, took over to become the face of BGO casino. The latest BGO advert features a tremendous sign-up offer that includes a generous match bonus on a first deposit. New UK players can also grab a lovely bunch of welcome spins when signing up with the casino. That’s not all BGO has to offer though, as it also boasts excellent security that is backed with licenses granted by the British Gambling Commission and the Alderney Gambling Commission. There’s also first-rate support, a big selection of excellent games, VIP, and the BGO App for Android and iOS. 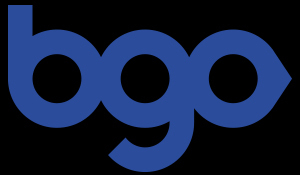 The BGO Mobile App is the perfect solution for anyone that wants first-rate on-the-go gaming. It’s easy to download too, with the BGO Android App available from the Google Play Store, and the BGO iOS App available from iTunes. Both Apps provide the chance to play over 500 slots and games, and there are even exclusive mobile slots. 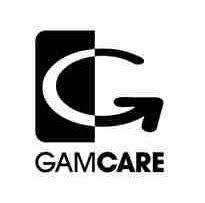 All games are full-optimized for mobile, including Live Casino Games. 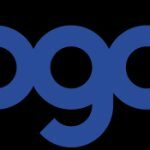 You can even participate in BGO Promotions, and claim BGO Rewards via the app. If you have any questions about security or anything else to do with BGO Casino, you can contact their helpful Support Team via Live Chat, Phone or Email. Live Chat Support is available during the casino’s opening hours of 8.30am to Midnight, 7 days a week, whilst Phone Support is available from 09.00 to 23.59. Emails will be answered as soon as possible. BGO Casino is available in English, Swedish, Norwegian, Finnish and German. Restricted Countries are the USA, US/GB Virgin Islands, US Minor Outlying Territories, Spain, Italy, France and Overseas regions, Afghanistan, Libya, Sierra Leona, Iran, Iraq, Nigeria, Zimbabwe, Mali, Sudan, Belgium, Greece, Germany, Israel, Turkey, Switzerland, Hong Kong, Denmark, Estonia, Bulgaria, Cyprus, Macau, Philippines, Singapore, Hungary, the UAE, Romania, Portugal, Netherlands, Russia, Poland, Ukraine, Czech Republic, Australia, and Colombia. Well over 500 games is how The Boss sums up the number of games at BGO Casino – and it’s easy to see why it’s hard to keep count when he’s continually adding the best new games around. Slots lovers should never get bored in the BGO Slots Section, as you can play New Slots like Harley Davidson Freedom Tour from IGT, Mighty Black Knight from Barcrest, Finn and the Swirly Spin from Netent, and Dragon Champions by Playtech. There’s also the option to team-up with the Justice League, or try and line-up a fortune in precious gems in Gem Heat. If you’re not sure what slots to play, you could also start with some titles you’re probably familiar with such as Guns n Roses, Monopoly: Bring The House Down, Rocky, Kong 8th Wonder Of The World, American Dad, and Ghostbusters. There’s also Jackpot Slots such as Age of the Gods, Superman, Mega Jackpots Cleopatra, Jackpot Giant, and Batman & Penguin – all of which could make you rich on a single spin. Slots aren’t the only type of game at BGO Casino though, and you can head to the table games section for a variety of Roulette Games like Multi-Wheel Roulette, and Blackjack Games like Blackjack Pro. Alternatively, head to the GBO Live Casino for varieties of Live Dealer Blackjack and Roulette, as well as Baccarat. Bingo is also very popular at BGO, especially Progressive Bingo Games like Pleasure Beach, Money Tree, Pocket Money, and Golden Nugget. There are also a variety of Bingo Rooms like Need For Speed, Who Wants To Be a Millionaire, and Cheap As Chips. BGO offers players a small number of payment options, which includes the most popular e-wallets, debit cards, and credit cards, as well as mobile transactions via Boku. Players have the option of setting their own deposit/withdrawal limits between a minimum of £10 and a maximum of £10,000 but can ask Customer Support if they wish to increase these limits. Up to £200 on first deposit and no-deposit free spins with no wagering is how new UK players are welcomed at BGO. When you register a new account, and verify your mobile phone number, you are rewarded with 10 free spins to play on Slots O’Gold, Fishin’ Frenzy, Eye of Horus, or Diamond Jackpots. 100% deposit match up to £200/$300. Available on selected Games only. 7-day expiry on Bonus. 40x wagering (max bet £/$5) before Bonus Balance can be withdrawn. Wagering is with real money first. Game contribution weightings apply to wagering requirements. £/$10 min deposit + 2.5% fee (min 50p/75c). Not available using Neteller or Skrill. Cash balance withdrawable anytime + £2.50/$3.75 fee. Restricted countries: Sweden. www.begambleaware.org. Full bonus terms apply. When you become a regular at BGO you can also participate in The Vault, a promotion that allows players to fill their Boost Bar as they play the games. Filling your Boost Bar can earn you a variety of rewards including Classic Boosts, Mega Boosts, Golden Chip Boosts, Boss Boosts, and Mystery Boosts. Bingo Players at BGO also get their very own VIP Rewards courtesy of the Candy Club. From the moment you claim your sign-up offer at BGO you should have fun playing a brilliant slots section or, alternatively, you could play Live Casino Games with your Golden Spins. Whichever welcome bonus you choose, you can play safely in the knowledge that BGO is fully secure and support is on hand should you need any help.